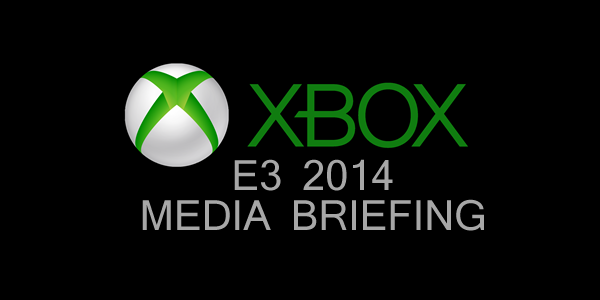 Microsoft held its annual Xbox Media Briefing in Los Angeles today. As per tradition, the event was held a day before the official start of E3, at the Galen Center. Phil Spencer, who heads up the Xbox Division at Microsoft, opened the presentation by emphasizing that the event would be focused entirely on games. He hailed the efforts of all those involved in the gaming industry, and saying that the launch of three new consoles in the last few years has pushed the industry forward tremendously. Together with developers, publishers, and other hardware manufacturers like Nintendo and Sony, Microsoft is committed to the gaming industry. According to Spencer, everyone benefits from the transition to a new generation of hardware. The first game showcased on stage was Sledgehammer Games’ Call of Duty: Advanced Warfare. The demo showed a mission titled ‘Induction’ from the campaign, which is set in Seoul, South Korea. Players are dropped (quite literaly) into the city and face off against human enemies as well as drones and mech-like vehicles. Several new mechanics were shown off, including the ability to switch the type of grenade being thrown. Setting the grenade to the ‘Smart’ setting would allow it to home in on enemies, though this was just one of multiple settings shown in the trailer. The trailer ended rather dramatically and is available here. Call of Duty: Advanced Warfare is launching on November 4th, 2014. As with other installments in the franchise, downloadable content for the game will be released first on Microsoft’s platform. Dan Greenawalt, the creative director at Forza Motorsport-developer Turn 10 took the stage to announce that the iconic Nürburgring track is being made available to Forza Motorsport 5 owners today. The full 16 kilometers of the track have been digitally captured and is available for free download. Greenawalt introduced Ralph Fulton, creative director at Playground Games, to announce that Forza Horizon 2 would be launching later this year, on September 30th. Forza Horizon 2 is an open-world racer set in Europe and features more than 200 verhicles, a full day-night cycle, and dynamic weather. Players who already have a “Drivatar” from Forza Motorsport 5 will find that their data carries over into the new title. Players are able to create their own clubs in the game, which can have up to 1000 members. A trailer was shown, which is available here. Forza Horizon 2 is available for pre-order now. A short trailer for Evolve was shown, emphasizing the 4 vs. 1 aspect of the game (available for your viewing pleasure over here). An open beta for the coop-focused shooter, developed by Turtle Rock Studios and published by 2K Games, will be made available later this year. As with Call of Duty, downloadable content for Evolve will be made available on Xbox One first, before releasing on other platforms. Vincent Pontbriand, senior producer at Ubisoft, presented a live demo for the upcoming Assassin’s Creed: Unity, which will be the first installment in the franchise that is truly developed for the next generation of hardware. In Assassin’s Creed: Unity, players will be able to form a ‘Brotherhood’ with up to three friends and play the game cooperatively for the first time in the franchise. Set in 18th century Paris, the demo (which can be viewed here)showed how four players stormed a mansion and took down a marquis and his guards within. Assassin’s Creed: Unity is launching later this year. The Assassins’s Creed demo was followed by a trailer for Dragon Age: Inquisition. The game is slated for release on October 7th, and the trailer showed characters mixed with in-game combat. Premium downloadable content will release first on Xbox One. A cinematic trailer and extended gameplay demo were shown for Sunset Overdrive, the open-world third-person shooter currently in development at Insomniac Games. Ted Price, founder & CEO of the development studio showed an in-game mission where the player needs to clear mutants out of a part of an amusement park, and promised that the game would also feature 8-player online cooperative play. The cinematic trailer, which pokes fun at modern military shooters, gives a little background information on the problems affecting Sunset City and can be viewed here. The gameplay demo, which features a lot of jumping, grinding, and shooting, can be viewed here. Sunset Overdrive is launching as an Xbox One exclusive on October 28th. Capcom unveiled new downloadable content for Dead Rising 3, featuring all major characters from previous installments in the franchise and introducing a lot of new content inspired by classic Capcom titles, including the Street Fighter franchise. The content, which can be played in online coop with up to four players, is called Super Ultra Dead Rising 3 Arcade Remix Hyper Edition EX Plus Alpha and is available now. A new installment in the Dance Central franchise, called Dance Central Spotlight, was announced a digital-only title by Harmonix founder Alex Rigopulos. The digital-only format will allow the developer to implement new content faster than ever before. David Eckleberry, the game director for Fable Legends at Lionhead Studios, took the stage to announce a multiplayer beta for the cooperative-focused RPG will be available later this year. A gameplay demo was shown in which four players attempt to recover an artifact from overgrown ruins, while facing off against enemies and traps placed by a fifth player – the villain. This villain has a top-down view of the game and controls all hostile elements the other players face. A gameplay trailer for the game was released simultaneously, and is available here. A trailer for Project Spark, the Xbox One / PC game creator tool, was shown. I revealed that more than 1 million users have created content with the tool, and promised that a lot more features, such as cooperative play and galaxies, are inbound. Conker, the iconic character from Rare, will also be introduced into the world in the near future. An interesting new project from developer Moon Studios was revealed as an Xbox One exclusive. Little information regarding the 2D platformer Ori and the Blind Forest was made available, but the trailer for it is available here. Bonnie Ross, the general manager and head of Microsoft’s own 343 Industries indicated that the recently-announced Halo 5: Guardians, and promised the game would revolve around a deep, personal journey for the Master Chief that would revolve around his past and future. A cinematic trailer was released that featured a new major character and a voice-over from the Arbiter, encouraging the mysterious new character to search for the Master Chief. Halo 5: Guardians is expected to release next year, but the trailer itself was not directly focused on this game, but instead of the Halo Master Chief Collection. The trailer is available here. The Halo Master Chief Collection will include all four main games in the franchise in 1080p. For this release, Halo 2 has received the same treatment as Halo: Combat Evolved did in 2011. Dan Ayoub, executive producer on the Master Chief Collection, stated that this pack will launch with all content unlocked and a total of more than 100 multiplayer maps, 4000 Gamerscore up for grabs, and the original Halo 2 multiplayer. In addition, the pack will come with Halo: Nightfall, a live-action digital series created in collaboration with Ridley Scott. This series introduces a character that will take on a pivotal role in the upcoming Halo 5: Guardians. A beta for Halo 5: Guardians will be released this holiday season, and a short teaser clip for that was released as well. It can be viewed here. Beta access is included with the Halo Master Chief Collection. Phil Spencer returned to the stage at this point to emphasize that all the content that had been showed up until this point would be made available on Xbox One before the year is out. Wearing a Limbo shirt, he introduced a new title currently in development at Limbo-developer Playdead: Inside. The trailer is available here. Chris Charla, the director of the ID@Xbox program took the stage afterwards to emphasize the commitment of the Xbox team to independent developers. A montage of gameplay footage from indie titles currently in development for the platform was shown, and is available here. The independent games were followed by the reveal of a new installment in the Tomb Raider franchise, called Rise of the Tomb Raider. The cinematic trailer shows Lara talking to a counselor about her experiences during the previous game, and is available here. Rise of the Tomb Raider is currently in development at Crystal Dynamics, and is scheduled for a release in late 2015. This reveal was follow by a gameplay demo from CD Projekt’s The Witcher III: Wild Hunt, and showed the protagonist Geralt on a Gryphon hunt. The quest is set about ten hours into the game, with the demo emphasizing the fact that the game is open-world for the first time. The Gryphon chase was interupted by combat against bandits, with the developer pointing out that it is possible to interrupt your current quest to take on another, and continue with it later. According to the representative from CD Projekt, everything within vision can be traveled to. The gameplay demo is available here. Creative director at Microsoft Studios, Ken Lobb, announced that his teaming is working to bring Phantom Dust onto the new generation of hardware. A cinematic trailer was shown for the game, and is available here. The original Phantom Dust was released in 2005 for the first-generation Xbox and became a cult classic. Lobb was replaced by Ryan Barnhard, game director on The Division from Ubisoft’s Massive Entertainment. He was accompanied by several of his colleagues and together they showed a gameplay demo for their open-world squad-based third-person shooter. The demo revolves around clearing hostiles from a new base of operations, and has players travel through the subway to reach it. The action is set on Christmas day, following the release of a virus on the populous of New York City on Black Friday. The full video of the demo can be watched here. New content for the game will be released on Xbox One first, before heading to other platforms. The Division is launching in 2015, but was initially slated for a release this year. Hideki Kamiya, one of the founders of Platinum Games, announced their new project, called Scalebound, as an Xbox One exclusive. This was done via a cinematic trailer, which is available here. Though the trailer features large monsters and a man apparently assuming traits from his dragon, no information on the game is currently available. The final game to be revealed was introduced by David Jones from CloudGine. A new Crackdown was shown via a cinematic trailer, and confirmed to be fully playable in coop and designed as the ultimate open world experience. The trailer, which features a track loaded with explosives slamming into a building, then slamming into another building, is available here.